Ricky Van Shelton was one of country music's biggest male stars during the late '80s and early '90s, prior to the emergence of crossover sensations like Garth Brooks. Shelton's smooth baritone croon made him especially popular as a country-pop ballad stylist, but elsewhere he incorporated elements of rock, gospel, and classic honky tonk. Shelton was born in Danville, VA, in 1952 and grew up in the small town of Grit. He learned to sing at church and discovered country music as a teenager, performing at local gatherings whenever he could. After high school, he played the area club circuit and worked a series of day jobs, and in late 1984 he finally made the move to Nashville to make it in the business. He performed in nightclubs until a local newspaper columnist heard his demo and helped arrange a showcase that landed Shelton a deal with CBS in 1986. 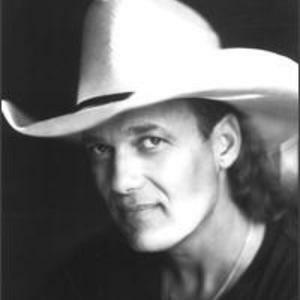 Shelton released his debut album, Wild-Eyed Dream, in 1987, and his first-ever single, "Crime of Passion," hit the country Top Ten. Its follow-up, "Somebody Lied," went all the way to number one; so did the album, and so did another single, "Life Turned Her That Way." Shelton quickly recorded a follow-up album, Loving Proof, which appeared in 1988 and also topped the country charts; it spun off three number one hits in "I'll Leave This World Loving You," "From a Jack to a King," and "Living Proof," while "Hole in My Pocket" made the Top Five. While readying his third proper album, Shelton also completed two specialty projects: the 1989 holiday album Ricky Van Shelton Sings Christmas and the 1990 gospel record Don't Overlook Salvation. Meanwhile, his official follow-up to Loving Proof, RVS III, was released in 1990 and became his third number one album. "I've Cried My Last Tear for You" gave him another number one single, while "I Meant Every Word He Said" and "Statue of a Fool" both topped out at number two; "Life's Little Ups and Downs" also made the Top Five. In 1991, Shelton teamed up with Dolly Parton for the chart-topping duet "Rockin' Years" and subsequently issued another album, Backroads. Though it just missed the top of the country charts, Backroads kept his hit streak going strong, producing two more number ones in "Keep It Between the Lines" and "I Am a Simple Man" (giving him a total of nine) and a number two hit in the title track. Musical tastes can shift quickly, and by the time Shelton conquered the alcohol abuse that had begun to take a toll on his personal life, Garth Brooks was completely altering the contemporary country landscape. To hold fans over, he released Greatest Hits Plus in 1992, and its newly recorded track, "Wild Man," hit the Top Five. He returned in 1993 with A Bridge I Didn't Burn, but the album didn't spawn any huge hits, as had been expected; it went gold, but it was the only Ricky Van Shelton album to date that ultimately failed to go platinum. 1994's Love and Honor continued his commercial downturn, and tensions with Columbia led Shelton to part ways with his label a couple years later. He busied himself with, among other projects, a series of children's books centered around the character Quacker the Duck that he'd begun several years earlier. He also formed his own label, RVS, and recorded an album on his own called Making Plans, which he distributed via an exclusive agreement with the Wal-Mart store chain in 1997. The following year, Vanguard stepped in to give the record a wider release. Shelton subsequently signed with the Audium label, home to many veteran country artists, and recorded a new album, Fried Green Tomatoes, in 2000.